1998’s going back a ways, but a listen to Celtschmerz, the live compilation from a Richard Thompson tour of the U.K. and you’ll notice a rather fine tenor hitting the harmonies on a couple of songs from the Richard & Linda era, not quite as high as the female range would go, but intertwining with Thompson’s voice the way you find genetically related singers often manage, and a glance at the sleeve notes would reveal the individual in question is one Teddy Thompson, son of Richard and Linda and no slouch in the vocal department. On that recording he hit the spaces his mum used to fill in a manner that suggested a voice worth following and over the intervening decade plus Teddy Thompson has quietly gone about releasing five albums, four of ‘em original material, with a bracket of country covers (Upfront & Down Low) in the middle. So, five albums into a career you’d expect things to be more or less set in place. Thompson writes with a quirky wit (it’s a very English sensibility on display here) and delivers jaunty melodies with an archly raised eyebrow here and there. Take, for example, the album opener Looking for a Girl. Yes, your narrator is, in fact, out on the hunt for a partner and lists the qualities his ideal woman should possess (including the ability to recognise the signals when it’s time to knock the relationship on the head). It’s a want ad from the Personal column, but you can’t help thinking, given his expressed attitude, this bloke isn’t in for a whole lot of joy. And from there it’s obvious that this dude does, in fact have his share of woman troubles. There are the ones he lusts after but are unattainable (The One I Can’t Have), the ones he can’t escape from (The Next One), the ones he’s lost along the way (Delilah), the ones he had but gave him the flick (Take Me Back Again), and the ones he can’t figure out (Tell Me What You Want, a romance gone wrong duet a la Mickey and Sylvia with Jenni Mulduar). 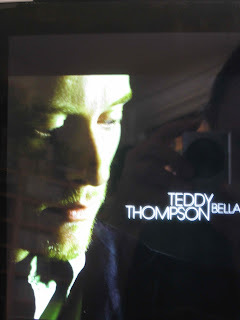 We knew he could sing as far back as Persuasion on his Dad’s Action Packed: The Best Of The Capitol Years compilation and the aforementioned Celtschmerz but Bella indicated he’s not just a bloke with a rather good voice. Impressive, and I’ll be watching for the next one.